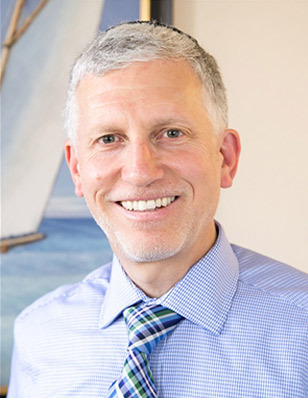 Meet Dr. Gary Login, Your Premium Dental Care Provider in Brookline, MA! Your Premium Dental Care Provider in Brookline, MA! I think dentistry is a wonderful profession because it challenges me to refine my skills constantly, both as an artist and as a caregiver. The interpersonal nature of the work requires me to do much more than create technically beautiful dentistry. The real smiles I create in my office naturally emerge for patients who feel I have provided just the right level of treatment. I surround myself with mentors who serve as my role models in communication, gentle care, and creative solutions. Getting it right for someone else is what makes me feel great. In order to become a dentist, I first obtained my Bachelor of Science in microbiology from Rutgers College in 1979. Then I attended the Harvard School of Dental Medicine, and graduated in 1984 with my Doctorate of Dental Medicine, and in 1990 with my Doctorate of Medical Science. To stay current with new methods and technologies, I take more than 200 hours of continuing education each year! As part of this journey, I am involved with the New York University School of Dentistry’s weekly clinical treatments in full-mouth reconstruction and cosmetic dentistry. I am a member of the International Congress of Oral Implantologists, and also serve in a one-on-one mentoring program for recent dental school graduates. When I think about the people I work with, all I can say is: “Wow!” Our team has a wonderfully diverse and worldly background which contributes to increased sensitivity and connectivity with our patients. Many of our team members have volunteered their dental services in third-world nations and underserved communities in the United States. Some of our team members are actively preparing to enter dental school. Others teach foreign language skills in adult education programs. Imagine the sheer delight of being with energetic, self-directed, upbeat people. I think a good part of the healing that takes place in our office is the result of our happy smiling staff joyfully greeting patients and sharing stories! I truly enjoy listening and talking to people. I feel a great sense of joy when a patient’s smile conveys that I did just what they asked me to do. I really love developing long-term relationships and sharing milestones in people’s lives. I’ve spent the past 25 years building connections with people in my community, and I would love to get to know you and your family, too! My beautiful wife and I have been married for 30 years and have two daughters. In my spare time, I love sailing from the Charles River Community Boating Club in downtown Boston, and I have obtained my jib certification. I also enjoy weekend bike riding trips in different communities across Massachusetts with my wife and friends. I love reading biographies, and have become a recent fan of the Metropolitan Opera in Manhattan! My favorite ice cream flavor is cookie dough, and my favorite movie is Groundhog Day.